The stars aligned for those of us who love Hollywood's most hilarious actors. Good friends Amy Schumer and Jennifer Lawrence already teased us with the screenplay they're reportedly writing, but they recruited two other stars for a new project. According to E! News, Aziz Ansari and Chris Pratt joined Schumer and Lawrence for some hangout time over the weekend, and the result is nothing short of our wildest dreams. The world became privy to what happened when the four stars hung out, thanks to videos they posted on Instagram. 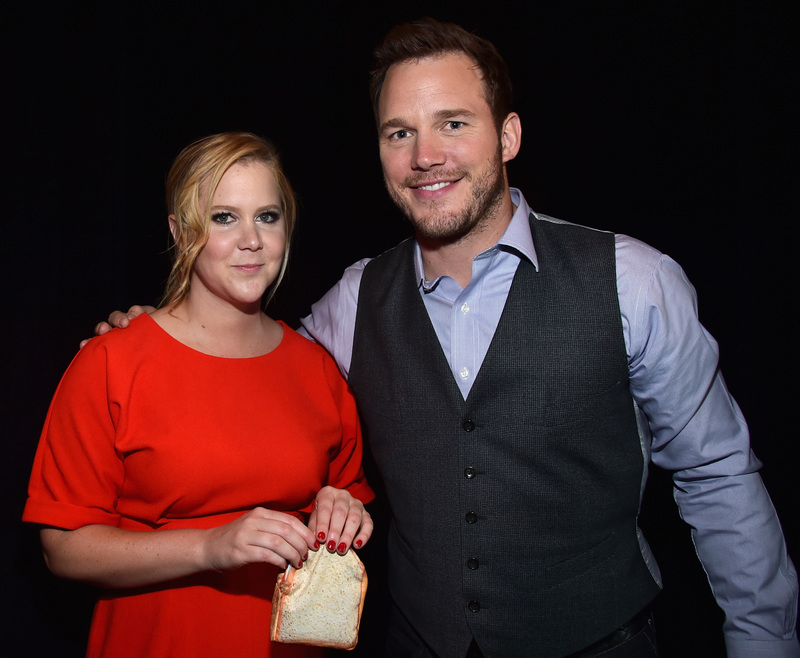 While Pratt and Lawrence were on a break from shooting Passengers, Ansari and Schumer happened to be in town for the Oddball Comedy Festival. The result convinced me that the men need to appear in whatever screenplay the women are writing. Ansari posted a video of Pratt standing on a porch, looking like a stereotypical good-looking leading man. That is, he smoldered into the distance and didn't utter a word. In the meantime, Ansari quite literally swung in and out of the frame, repeating, "Hi, guys!" to the camera. The actor captioned the video "a short film. Directed by Jennifer Lawrence Director of Photography @amyschumer Written by @azizansari, @prattprattpratt, @kimcaramele, @amyschumer." Other videos from the weekend show that even when the crew wasn't working, they were hilarious. But really, did we expect anything else? In case they need any more convincing, here are nine reasons the four should collaborate for real. This is NOT a bed and breakfast. There's no way it could fail. Proving that they're comedians at heart. So it can utilize their strengths. Example: Chris Pratt mocking his leading man image. Schumer has an Emmy to her name and Lawrence has an Oscar. There's so much potential. Talented actors, writers, and directors? Yes, please. But if Lawrence, Pratt, and Ansari are involved, I won't complain. Which means this could be the gift that keeps on giving. Here's hoping the four stars teams up for a full-length project.